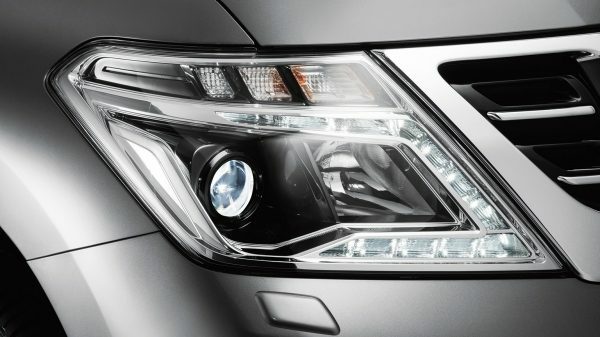 Illuminating the road ahead, day and night, are the high-tech daytime running lights and LED headlights designed to enhance the Nissan Patrol’s statement in luxury. 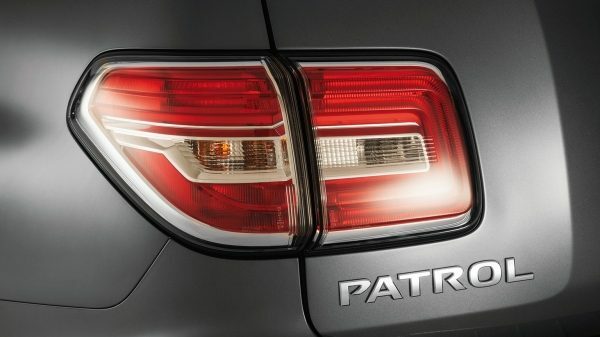 With every departure, your followers will notice the dynamic rear end sporting LED combination lamps. 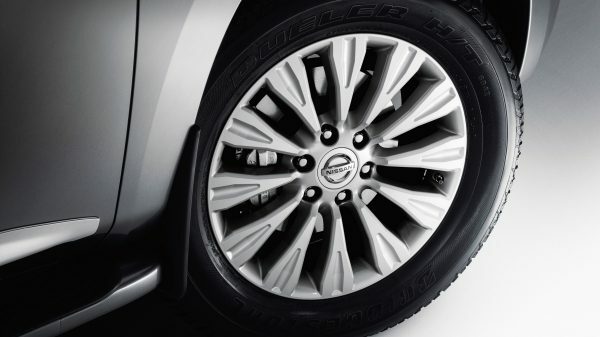 Make every turn count, with bold 20” aluminium alloy wheels. 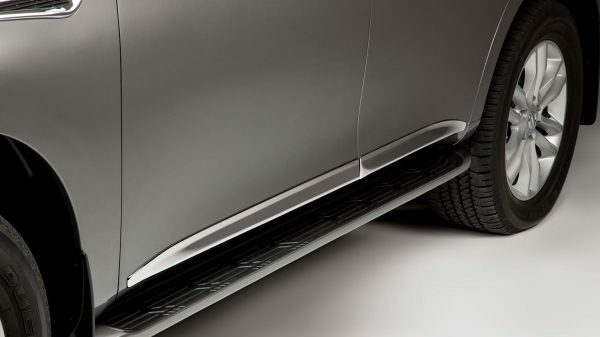 They add both style and capability to every on-road and off-road adventure. 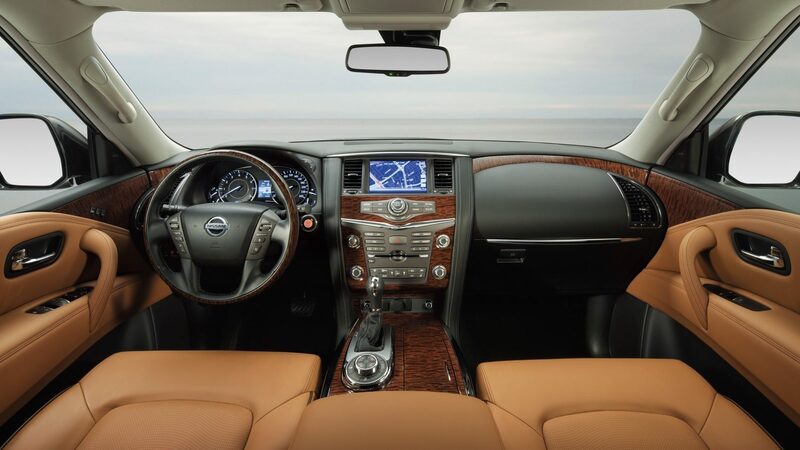 Nissan Patrol offers a spacious interior, with increased legroom resulting from the longer wheelbase. 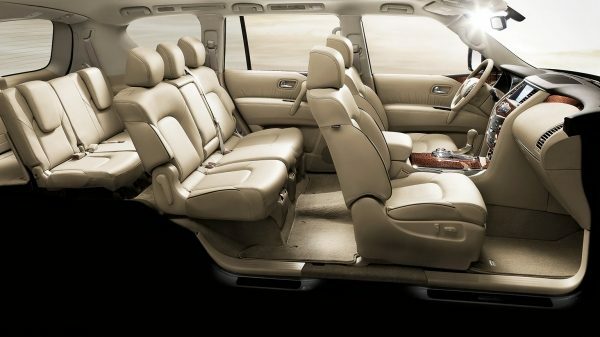 You’ll also find expansive luggage space in the rear, available in seconds by easily folding the seats. 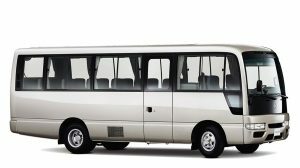 The spacious second row can seat 3 passengers comfortably, with cushioned seating, adjustable head rests, and increased legroom and headroom. Stuck in the back? Lucky you. 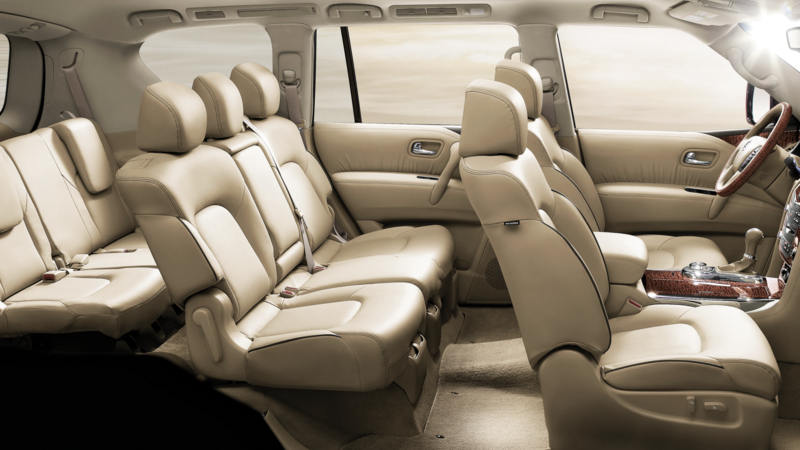 The third row of Nissan Patrol has room for 3 with increased legroom and headroom, and adjustable head rests to make the ride supremely comfortable. 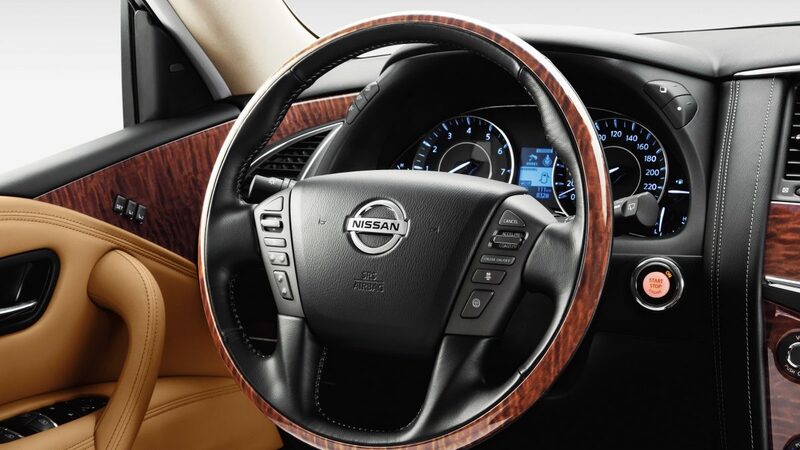 Slip into comfort with high-quality leather-appointed seats and the refined touches of the interior, which include chrome accents, and aluminum and wood trims. 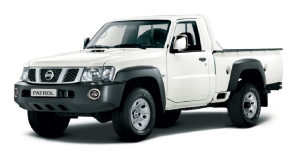 Nissan Patrol’s laminated windshield along with ultra microfiber insulation, called Thinsulate, in the front door panel and luggage areas, help provide advanced insulation to maintain the cabin temperature and a quieter cabin.